In an admission that its law enforcement sentencing was too harsh on people who were caught possessing small amounts of cannabis, Tampa City Council voted today to reduce the penalties for possession of small amounts of cannabis; 20g, or about three quarters of an ounce. Once the ordinance is passed, those caught possessing cannabis will no longer be treated like criminals equal to violent crimes. They will now be able to avoid a record, being booked into the Hillsborough County jail and automatic jail time. The first offense will result in a $75 fine. That rises to $150 for a second offense, $300 for a third and $450 for a fourth offense. The same fine schedule would apply for possession of drug paraphernalia that has trace amounts of cannabis. Those who receive a citation have up to 30 days to pay the fine. On February 18, Tampa City Council voted 6-0 to schedule a public hearing on March 3 on the new proposed ordinance. Political observers said the strong vote in favor of the ordinance signaled that it has the tacit approval of Tampa Mayor Bob Buckhorn. Broward-Palm Beach County also passed a similar ordinance in November of 2015 that set fines of up to $100 for possessing 20 grams or less of cannabis. Second offenses cost $250, and third offenses, $500. After three fines, possession would be considered a crime. In Palm Beach County, those caught with cannabis have the choice of paying the $100 fine, or they can perform 10 hours of community service. Hallandale Beach also followed suite in reducing penalties in August of 2015 and the city of St. Petersburg is also drafting a similar ordinance. As the city of Tampa is the largest city in central Florida, the passing of this ordinance is important to overall legalization efforts for the state. “It is wonderful that the city of Tampa has taken a step in the right direction toward implementing a sensible cannabis policy,” said Michael Minardi, Founder of Florida Cannabis Counsel. Cannamoms is a national organization of parents based in Florida that advocates for medical cannabis to be legalized in all states so that their critically ill children, and others like them, can have access to the medical properties found in the cannabis plant. These parents have three choices: Continue to dose their children up with the prescribed FDA approved narcotics that have proven not to work and turn their kids into addicts, move to a state where they can medicate their children safely which displaces everything they know and costing money many do not have, or illegally provide the safer alternative of cannabis and its extracted oil to their children and run the risk of going to prison and having their children taken from them. In November of 2014, Florida missed legalization of medical cannabis by 2%. It is one of the only states in the country that requires a 60% Supermajority vote to be added as a state constitutional amendment, according to a amendment passed in 2006. So, the third most populous state in America voted an overwhelming 58% yes on Amendment 2, but couldn’t reach the finish line. This was attributed to the political gaming and anti-legalization efforts funded by casino tycoon Sheldon Adelson, whose business interests would have been threatened by the amendment passing. Since that election, Florida kicked their efforts into overdrive and turned their attention to a strategy of decriminalization and passing ordinances in as many key counties as possible to reduce penalties for possession. This could prove to be the domino effect that is necessary to finally desensitize the conservative population enough to actually achieve full medical cannabis legalization. Amendment 2, also known as the Florida Right to Medical Marijuana Initiative, is an initiated constitutional amendment that will be voted upon on the Florida ballot on November 8, 2016. The measure would legalize medical cannabis for individuals with debilitating medical conditions as determined by a licensed state physician. Currently, Florida has a highly restrictive program that allows for CBD with low THC. It allows for one approved strain, Charlotte’s Web, which does nothing for most of the conditions that benefit from the cannabis plant. However, as the country continues to evolve its laws on cannabis, the first step toward legalization seems to be these restrictive programs. It is great to see the process started, unless you are a patient that requires the medicine, because then it is meaningless. No one should have to beg to provide themselves or loved ones a safer alternative to prescription pharmaceuticals. And they should definitely not have to fear prison. The day Colorado legalized full recreational cannabis, the damage that the 1937 lobbying campaign to place cannabis in the category of a Schedule I drug, coordinated and executed with precision by a few of the country’s wealthiest families with business interests in oil, publishing, plastic, cotton, and every other area that cannabis rivals, began to fall apart. As each county reduces fines or decriminalizes, and each state legalizes programs for CBD with low THC, medical cannabis, or full recreational, another domino falls and prohibition weakens. In the last few years alone, the country has witnessed 4 states plus DC legalize full recreational use. Colorado stands as the example of what the current ideal program can look like, and it is a huge success. Countries around the world are all getting rid of their outdated and completely unjust laws against one of the most beneficial plants known to man. One day in the near future, one of these dominos will prove to be the tipping point, and the world will move away from cannabis prohibition completely. For now, Tampa is just the latest to begin the correction of their position on cannabis. 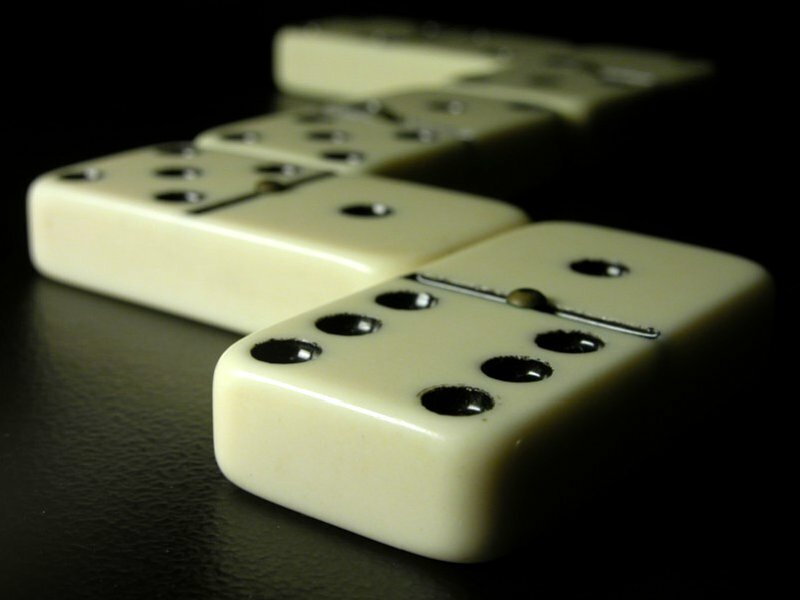 And each domino counts. Today is a great day for Tampa, Florida and the fight to end prohibition.